This article is about the colour. For the word, see Orange (word). For the fruit, see Orange (fruit). In Europe and America, surveys show that orange is the colour most associated with amusement, the unconventional, extroverts, warmth, fire, energy, activity, danger, taste and aroma, the autumn and Allhallowtide seasons, as well as having long been the national colour of the Netherlands and the House of Orange. It also serves as the political colour of Christian democracy political ideology and most Christian democratic political parties. 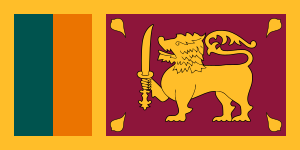 In Asia it is an important symbolic colour of Buddhism and Hinduism. The colour orange is named after the appearance of the ripe orange fruit. The word comes from the Old French orange, from the old term for the fruit, pomme d'orange. The French word, in turn, comes from the Italian arancia, based on Arabic nāranj, derived from the Sanskrit nāraṅga (नारङ्ग). The first recorded use of orange as a colour name in English was in 1512, in a will now filed with the Public Record Office. The term “orange” is used in a pre-Norman French-language poem dating to 1044. Prior to this word being introduced to the English-speaking world, saffron already existed in the English language. Crog also referred to the saffron colour, so that orange was also referred to as ġeolurēad (yellow-red) for reddish orange, or ġeolucrog (yellow-saffron) for yellowish orange. Alternatively, orange things were sometimes described as red such as red deer, red hair, the Red Planet and robin redbreast. In ancient Egypt, artists used an orange mineral pigment called realgar for tomb paintings, as well as other uses. It was also used later by Medieval artists for the colouring of manuscripts. Pigments were also made in ancient times from a mineral known as orpiment. Orpiment was an important item of trade in the Roman Empire and was used as a medicine in China although it contains arsenic and is highly toxic. It was also used as a fly poison and to poison arrows. Because of its yellow-orange colour, it was also a favourite with alchemists searching for a way to make gold, in both China and the West. The House of Orange-Nassau was one of the most influential royal houses in Europe in the 16th and 17th centuries. It originated in 1163 the tiny Principality of Orange, a feudal state of 108 square miles (280 km2) north of Avignon in southern France. The Principality of Orange took its name not from the fruit, but from a Roman-Celtic settlement on the site which was founded in 36 or 35 BC and was named Arausio, after a Celtic water god; however, the name may have been slightly altered, and the town associated with the colour, because it was on the route by which quantities of oranges were brought from southern ports such as Marseilles to northern France. The family of the Prince of Orange eventually adopted the name and the colour orange in the 1570s. The colour came to be associated with Protestantism, due to participation by the House of Orange on the Protestant side in the French Wars of Religion. One member of the house, William I of Orange, organised the Dutch resistance against Spain, a war that lasted for eighty years, until the Netherlands won its independence. The House's arguably most prominent member, William III of Orange, became King of England in 1689, after the downfall of the Catholic James II. Due to William III, orange became an important political colour in Britain and Europe. William was a Protestant, and as such he defended the Protestant minority of Ireland against the majority Roman Catholic population. As a result, the Protestants of Ireland were known as Orangemen. Orange eventually became one of the colours of the Irish flag, symbolising the Protestant heritage. His rebel flag became the forerunner of The Netherland's modern flag. When the Dutch settlers of South Africa rebelled against the British in the late 19th century, they organised what they called the Orange Free State. 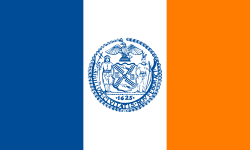 In the United States, the flag of the City of New York has an orange stripe, to remember the Dutch colonists who founded the city. William of Orange is also remembered as the founder of the College of William & Mary, and Nassau County in New York is named after the House of Orange-Nassau. In Britain orange became highly popular with the Pre-Raphaelites and with history painters. The flowing red-orange hair of Elizabeth Siddal, a prolific model and the wife of painter Dante Gabriel Rossetti, became a symbol of the Pre-Raphaelite movement, Lord Leighton, the president of the Royal Academy, produced Flaming June, a painting of a sleeping young woman in a bright orange dress, which won wide acclaim. Albert Joseph Moore painted festive scenes of Romans wearing orange cloaks brighter than any the Romans ever likely wore. In the United States, Winslow Homer brightened his palette with vivid oranges. In France painters took orange in an entirely different direction. In 1872 Claude Monet painted Impression, Sunrise, a tiny orange sun and some orange light reflected on the clouds and water in the centre of a hazy blue landscape. This painting gave its name to the impressionist movement. The flowing red-orange hair of Elizabeth Siddal, model and wife of painter Dante Gabriel Rossetti, became a symbol of the Pre-Raphaelite movement (1860). Impression, Sunrise by Claude Monet (1872) featured a tiny but vivid chrome orange sun. The painting gave its name to the Impressionist movement. A herbicide called Agent Orange was widely sprayed from aircraft by the Royal Air Force during the Malayan Emergency and the US Air Force during the Vietnam War to remove the forest and jungle cover beneath which enemy combatants were believed to be hiding, and to expose their supply routes. The chemical was not actually orange, but took its name from the colour of the steel drums in which it was stored. Agent Orange was toxic, and was later linked to birth defects and other health problems. A US Navy pilot during World War II wearing an orange inflatable life jacket. Orange also had and continues to have a political dimension. Orange serves as the colour of Christian democratic political ideology, which is based on Catholic social teaching and Neo-Calvinist theology; Christian democratic political parties came to prominence in Europe and the Americas after World War II. In Ukraine in November–December 2004, it became the colour of the Orange Revolution, a popular movement which carried activist and reformer Viktor Yushchenko into the presidency. In parts of the world, especially Northern Ireland, the colour is associated with the Orange Order, a Protestant fraternal organisation and relatedly, Orangemen, marches and other social and political activities, with the colour orange being associated with Protestantism similar to the Netherlands. Orange is a very common colour of fruits, vegetables, spices, and other foods in many different cultures. As a result, orange is the colour most often associated in western culture with taste and aroma. Orange foods include peaches, apricots, mangoes, carrots, shrimp, salmon roe, and many other foods. Orange colour is provided by spices such as paprika, saffron and curry powder. In the United States, with Halloween on 31 October, and in North America with Thanksgiving in October (Canada) and November (US) orange is associated with the harvest colour, and also is the colour of the carved pumpkins, or jack-o-lanterns, used to celebrate the holiday. Orange-coloured pumpkin pie is the traditional dessert at a US Thanksgiving dinner. Orange B is an azo dye approved by the US Food and Drug Administration, but only for hot dog and sausage casings. Annatto, made from the seeds of the achiote tree. Annatto contains carotenoids, the same ingredient that gives carrots and other vegetables their orange colour. Annatto has been used to dye certain cheeses in Britain, particularly Gloucester cheese, since the 16th century. It is now commonly used to colour American cheese, snack foods, breakfast cereal, butter, and margarine. It is used as a body paint by native populations in Central and South America. 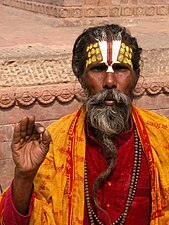 In India, women often put it, under the name sindoor, on their hairline to indicate that they are married. The colour of robes also varies somewhat among the different "vehicles," or schools of Buddhism, and by country, depending on their doctrines and the dyes available. The monks of the strict Vajrayana, or Tantric Buddhism, practised in Tibet, wear the most colourful robes of saffron and red. The monks of Mahayana Buddhism, practised mainly in Japan, China and Korea, wear lighter yellow or saffron, often with white or black. Monks of Hinayana Buddhism, practised in Southeast Asia, usually wear ochre or saffron colour. Monks of the forest tradition in Thailand and other parts of Southeast Asia wear robes of a brownish ochre, dyed from the wood of the jackfruit tree. It is worn by people wanting to be seen, including highway workers and lifeguards. Prisoners are also sometimes dressed in orange clothing to make them easier to see during an escape. Lifeguards on the beaches of Los Angeles County, both real and in television series, wear orange swimsuits to make them stand out. Orange astronaut suits have the highest visibility in space, or against blue sea. 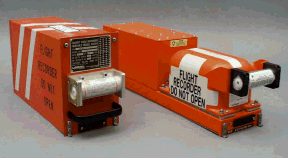 An aircraft's two types of "black box," or flight data recorder and cockpit voice recorder, are actually bright orange, so they can be found more easily. In some cars, connectors related to safety systems, such as the airbag, may be coloured orange. 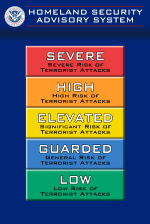 In the colour system devised by the US Department of Homeland Security to measure the threat of terrorist attack, an orange level is second only to a red level. The US Manual on Uniform Traffic Control Devices specifies orange for use in temporary and construction signage. Japanese scientist and astronaut Naoko Yamazaki worked aboard the US Space Shuttle. The California Institute of Technology, Princeton University, Syracuse University, Occidental College, and University of Tennessee use orange as a main colour. Flag of Niger (1960). The orange is said to represent the Sahara desert in the north, and the orange disk symbolises either the sun or independence. On September 14, 2017 North America's United Synagogue of Conservative Judaism began to use orange as part of a regarding effort. Buddhist monks in the Theravada tradition typically wear saffron robes. Although occasionally maroon, the colour normally worn by Vajrayana Buddhist monks is orange. In alchemy, orpiment - a contraction of the Latin word for gold (aurum) and color (pigmentum) - was believed to be a key ingredient in the creation of the Philosopher's Stone. In the United States Army, orange has traditionally been associated with the dragoons, the mounted infantry units which eventually became the US Cavalry. The 1st Cavalry Regiment was founded in 1833 as the United States Dragoons. The modern coat of arms of the 1st Cavalry features the colour orange and orange-yellow shade called dragoon yellow, the colours of the early US dragoon regiments. The US Signal Corps, founded at the beginning of the American Civil War, adopted orange and white as its official colours in 1872. Orange was adopted because it was the colour of a signal fire, historically used at night while smoke was used during the day, to communicate with distant army units. The shoulder sleeve insignia of the 1st Signal Command of the US Signal Corps. Orange, the colour of traditional signal fires, and white are the official colours of the Signal Corps. In the Indonesian Air Force, the Air force infantry and special forces corps known as Paskhas uses Orange as their beret colour. Several corporate brands use orange, such as Blogger, Fanta, FedEx, GlaxoSmithKline, Gulf, Hankook, Harley-Davidson, ING, Jägermeister, Nickelodeon, Orange, the Women's National Basketball Association, The Home Depot and TNT. ^ "orange - Origin and meaning of orange by Online Etymology Dictionary". www.etymonline.com. Retrieved 22 January 2018. ^ Biggam, C. P; Biggam, Carole Patricia (2012-03-29). The Semantics of Colour. ISBN 9780521899925. Retrieved 25 September 2014. ^ Caie, Graham D; Hough, Carole; Wotherspoon, Irené (2006). The Power of Words. ISBN 978-9042021211. Retrieved 25 September 2014. ^ a b c Grovier, Kelly. "The toxic colour that comes from volcanoes". Retrieved 2018-08-14. ^ "Are carrots orange for political reasons?". Washington Post. Retrieved 25 September 2014. ^ Sullivan, Eugene (1997). "An Academic Costume Code and An Academic Ceremony Guide". American Council on Education. Archived from the original on 2006-12-06. Retrieved 2010-06-26. ^ "1st Cavalry Regiment". The Institute of Heraldry. Archived from the original on 2013-09-21. Retrieved 2013-04-30. Roy, Srirupa (August 2006). 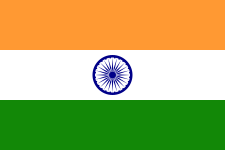 "A Symbol of Freedom: The Indian Flag and the Transformations of Nationalism, 1906–" (PDF). Journal of Asian Studies. 65 (3). ISSN 0021-9118. OCLC 37893507. Archived from the original (PDF) on 2012-10-10.